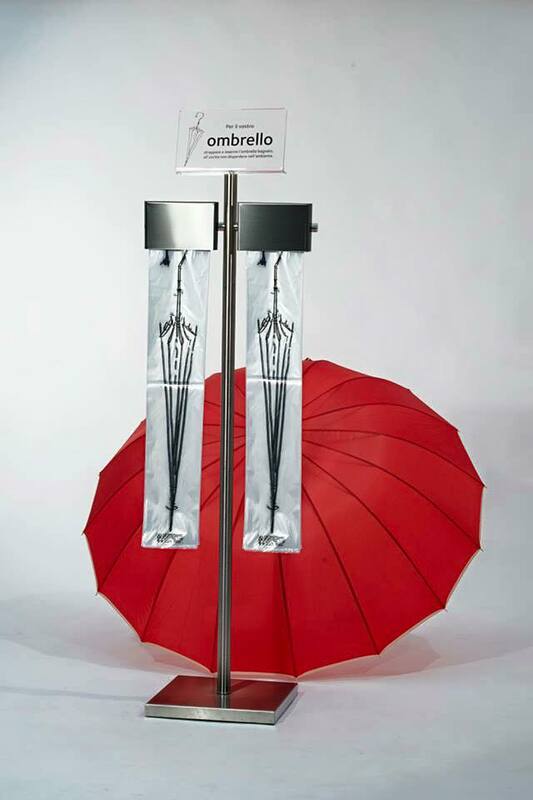 We have noticed that this service is getting more and more attractive to have at companies with not only a larege stream of visistors passing through, but also for smaller offices where the problem with wet umbrellas in the cloakrooms are as big as in a bigger offices. You are very welcome to contact us for a quotation for your specific bag and to find out which display would be suitabel for your entrence. To make a fare quotation please enclose your Logotype in PDF-format and the amount of bags if you already know. We also have a starterkit of one walldispenser and 500 neutral biobags with an expressdelivery.